Michigan Tech and Central Michigan University (CMU) are partnering to offer CMU’s doctorate of physical therapy program at Michigan Tech, to help meet a critical need for additional physical therapists in the Upper Peninsula. The physical therapy program offered through The Herbert H. and Grace A. Dow College of Health Professions at CMU is a professional graduate curriculum three years in length. Graduates of the program are awarded a Doctor of Physical Therapy degree (DPT). 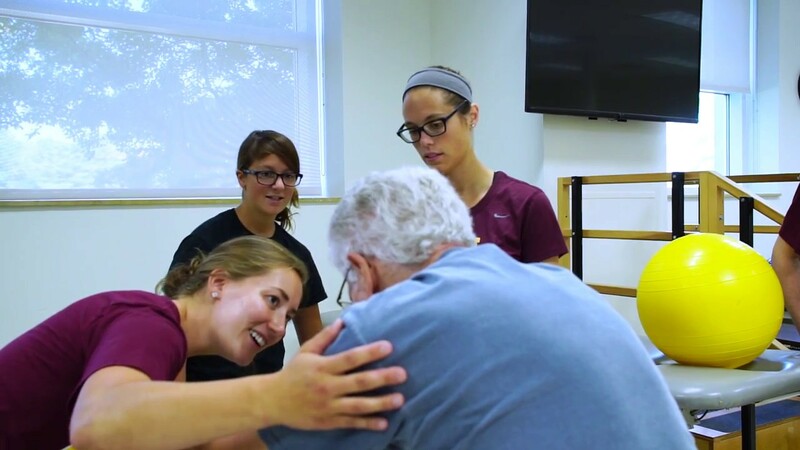 Why physical therapy at CMU? The program has received approval by the Commission on Accreditation in Physical Therapy Education (CAPTE) and the inaugural class arrived on Michigan Tech’s campus in August 2014. This doctoral program will offer students an innovative distance-learning format. The lectures and laboratory experiences will be presented on CMU’s campus by CMU faculty utilizing two way live distance technology to deliver in content in both directions. Faculty will be onsite at Michigan Tech to coordinate clinical programs and supervise physical therapy labs. Clinical education experiences are available in the Upper Peninsula, but can take place anywhere in the CMU network of clinical education sites throughout Michigan and adjoining states.